2. Add miracle whip a big spoonful at a time mixing it into the egg mixture. Stop when you get the consistency you prefer. Serve on croissants, toast, ciabatta or whatever bread you prefer. Tomorrow I will share my awesome deviled egg recipe. This is what I made today. Though I don't put green pepper. Mine I do celery, garlic, onion, and dill relish. I'm with Gina! I use celery and relish too. and definitely cayenne. I think I am going to make deviled eggs with my leftover Easter eggs. 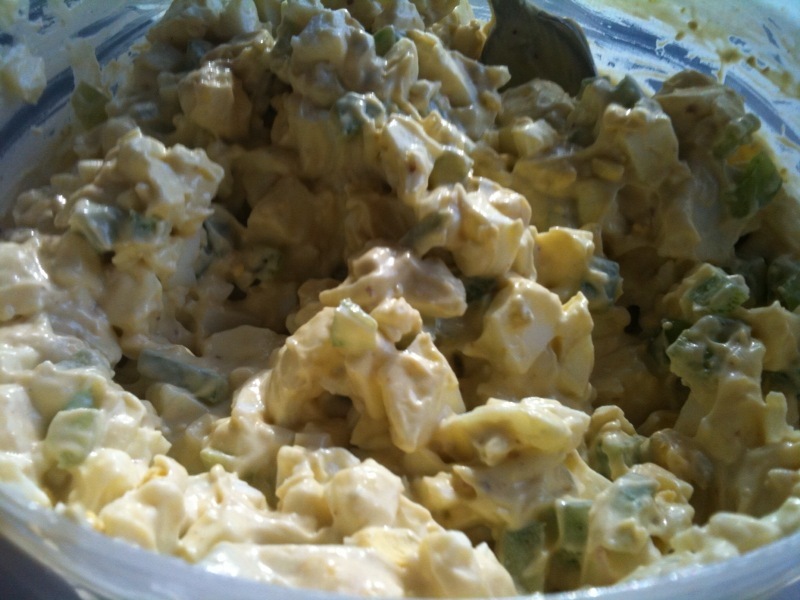 egg salad is the best! it's also really good in sandwich form. where did you learn to make all of ths stuff? i can't cook if my life depended on it. haha!